The Mariners (38-37) are playing their best baseball just in time for a key home series against the Astros. 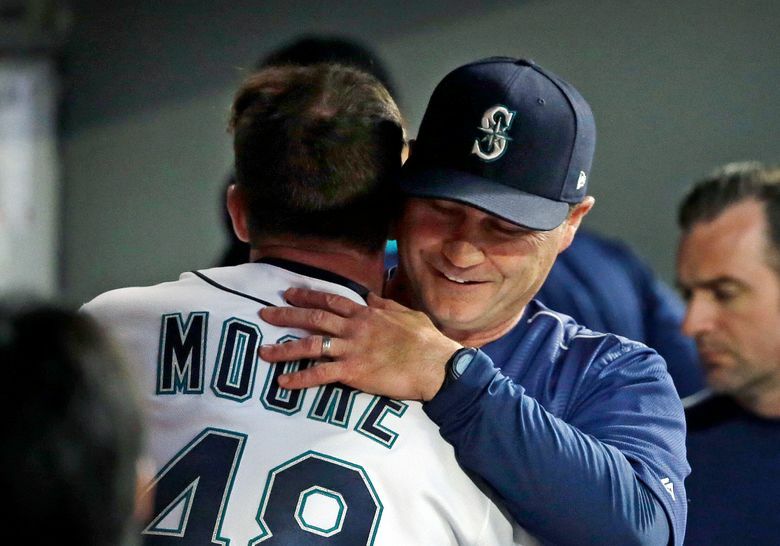 After his 100th and final pitch of the night, his night, Andrew Moore strolled back to the Mariners’ dugout, greeted there with a round of hearty handshakes from teammates and coaches. Beyond the dugout, the Safeco Field crowd stood and offered a rousing ovation for the rookie right-hander. For a major-league debut, it doesn’t get much better. And for the Mariners this season, it hasn’t been better than this. 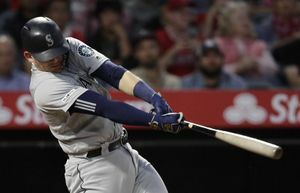 Moore pitched seven strong innings to win his debut, Robinson Cano hit two home runs — including the 11th grand slam of his career — and the Mariners completed a four-game sweep of the Detroit Tigers with a 9-6 victory Thursday night to move above the .500 mark for the first time this year. 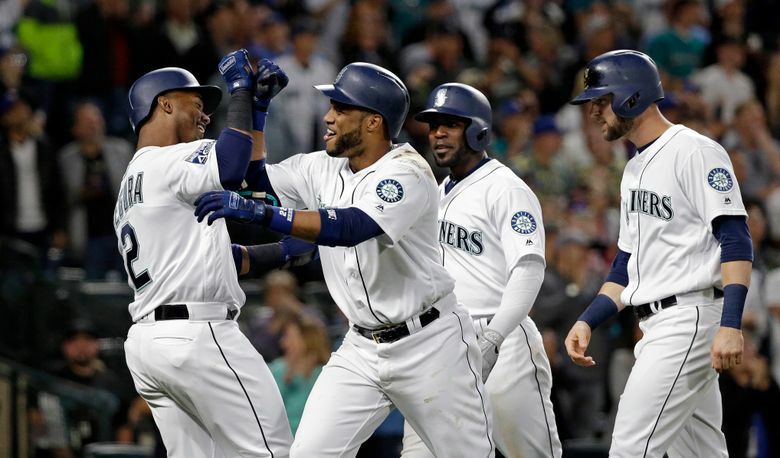 The Mariners (38-37) have won five in a row and are playing their best baseball just in time for a key home series against the Houston Astros, who at 50-24 own the best record in the majors. Felix Hernandez returns from a two-month stint on the disabled list to start Friday’s series opener. Moore, a 5-foot-11, 23-year-old right-hander from Eugene, Ore., worked quickly and efficiently. He’s never had an overwhelming arsenal — his fastball, aided by adrenaline, topped out at 93 mph in the first inning — but he moved his pitches all around the strike zone, up and down, in and out, and usually worked ahead of the hitters. His final line: three earned runs, six hits, four strikeouts, no walks. Jarrod Dyson doused Moore in blue Gatorade during a postgame interview, and teammates gave him a traditional beer shower in the clubhouse after that. 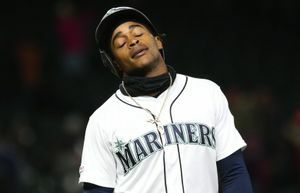 “You can’t say a whole lot more,” Servais said afterward. 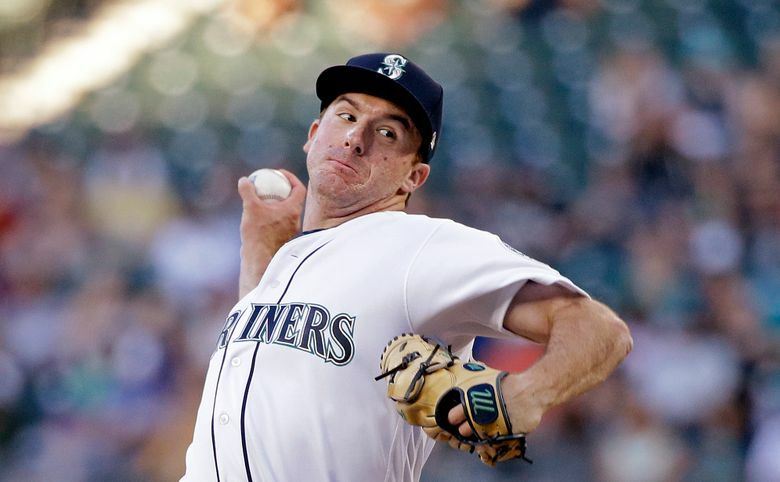 “It’s kind of what we’ve seen out of Andrew Moore since the day he put on a Mariners jersey. I think the people at Oregon State saw the same thing. Moore retired the Tigers in order in the first inning, reaching 93 mph on his fastball and throwing first-pitch strikes to all three batters. The Mariners led 3-0 in the third before the Tigers got to Moore, who left a 3-1 fastball right over the middle of the plate for Ian Kinsler to belt out to left field. Detroit scored two more off Moore in the fifth inning, helped in large part by a bad-hop double that deflected off Kyle Seager’s glove. Moore was most impressive over his final two innings. He needed just eight pitches in the sixth to retire the heart of the Tigers’ order: Cabrera, a future Hall of Famer, on a hard-hit fly out to center; J.D. Martinez on a fly out to right field; and Justin Upton on an infield pop out. Sitting at 85 pitches, Moore came back out for the seventh and again retired the side in order, which set off the nice ovation from many of the 18,736 in attendance. At that point, the Mariners were clinging to a 5-3 lead. Cano gave Seattle some needed breathing room when he hit a high fly off Francisco Rodriguez just over the fence in right-center. That was his 13th homer of the season, and pushed the M’s lead to 9-3. Cano earlier hit a two-run homer off Tigers starter Daniel Norris that gave the M’s a 5-1 lead in the third. 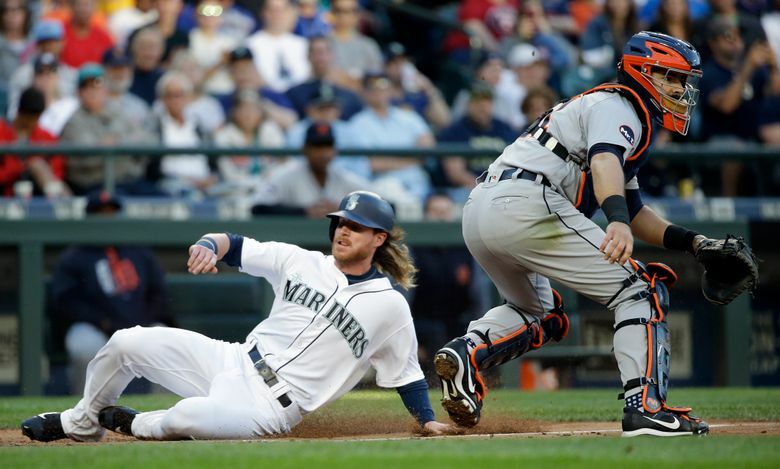 Ben Gamel extended his hitting streak to 14 games with a two-run double in the second inning. Guillermo Heredia followed with an RBI single to give the Mariners a 3-0 lead. Like Moore, Mariners reliever Max Povse, a 6-foot-8 right-hander, made his major-league debut. But Povse didn’t make it out of the eighth inning, allowing three runs on four hits. Tony Zych came on to record the final out of the eighth. In the ninth, Steve Cishek looked better than he has since coming back from offseason hip surgery, striking out two to earn his first save of the season.